..the faster it goes" was the old saying about a ram jet. Also known as "the flying stove pipe", the ram jet was just a tube, spark plugs, and a wad of metal in the middle to slow the wind down. Inject fuel, hit the ignition and - wham! - you're off to the races. A scramjet (supersonic combustion ramjet) is a variant of a ramjet airbreathing jet engine in which combustion takes place in supersonic airflow. As in ramjets, a scramjet relies on high vehicle speed to forcefully compress and decelerate the incoming air before combustion (hence ramjet), but whereas a ramjet decelerates the air to subsonic velocities before combustion, airflow in a scramjet is supersonic throughout the entire engine. This allows the scramjet to operate efficiently at extremely high speeds: theoretical projections place the top speed of a scramjet between Mach 12 (9,100 mph; 15,000 km/h) and Mach 24 (18,000 mph; 29,000 km/h). The scramjet is composed of three basic components: a converging inlet, where incoming air is compressed and decelerated; a combustor, where gaseous fuel is burned with atmospheric oxygen to produce heat; and a diverging nozzle, where the heated air is accelerated to produce thrust. Unlike a typical jet engine, such as a turbojet or turbofan engine, a scramjet does not use rotating, fan-like components to compress the air; rather, the achievable speed of the aircraft moving through the atmosphere causes the air to compress within the inlet. As such, no moving parts are needed in a scramjet. In comparison, typical turbojet engines require inlet fans, multiple stages of rotating compressor fans, and multiple rotating turbine stages, all of which add weight, complexity, and a greater number of failure points to the engine. Due to the nature of their design, scramjet operation is limited to near-hypersonic velocities. As they lack mechanical compressors, scramjets require the high kinetic energy of a hypersonic flow to compress the incoming air to operational conditions. Thus, a scramjet-powered vehicle must be accelerated to the required velocity by some other means of propulsion, such as turbojet, railgun, or rocket engines. In the flight of the experimental scramjet-powered Boeing X-51A, the test craft was lifted to flight altitude by a Boeing B-52 Stratofortress before being released and accelerated by a detachable rocket to near Mach 4.5. In May 2013, another flight achieved an increased speed of Mach 5.1. ..like the proverbial "scalded cat". Aerospace Ed: Airbus 300's first trip to San Francisco.. Note the pilots using joysticks and whipping out the keyboards to make flight adjustments. One hopes the server does not crash. The Packing Crate that the B-17 came in..
Often compared with the better-known Boeing B-17 Flying Fortress, the B-24 was a more modern design with a higher top speed, greater range, and a heavier bomb load; however, it was also more difficult to fly, with heavy control forces and poor formation-flying characteristics. 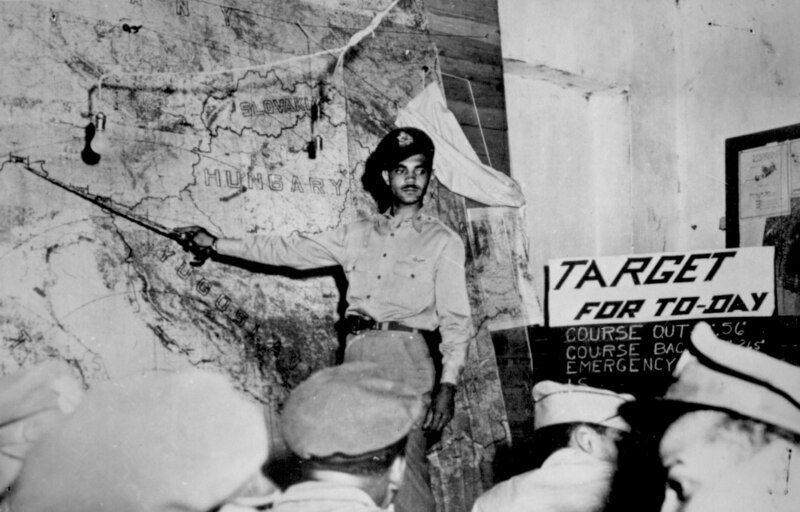 Popular opinion among aircrews and general staffs tended to favor the B-17's rugged qualities above all other considerations in the European Theater. The placement of the B-24's fuel tanks throughout the upper fuselage and its lightweight construction, designed to increase range and optimize assembly line production, made the aircraft vulnerable to battle damage. The B-24 was notorious among American aircrews for its tendency to catch fire. Moreover, its high fuselage-mounted "Davis wing" also meant it was dangerous to ditch or belly land, since the fuselage tended to break apart. Nevertheless, the B-24 provided excellent service in a variety of roles thanks to its large payload and long range, and was the only bomber to operationally deploy the United States' first forerunner to precision-guided munitions during the war, the 1,000 lb. Azon guided bomb. Yet again -- and for the remainder of June and July, the main focus of our training is to develop our ES skills and we have one SAREX down (KCNO this past weekend) and two more to go. The last Group 7 SAREX ever to be held in San Diego will occur in July and our own will eventuate at KCNO during the third week in August. It is incumbent on EACH AND EVERY ONE OF US to be prepared for our training and to know who may or may not sign us off on SQTR tasks or missions. To that end, CAPT John Hill, 1LT Dave Martin, and 2LT Jim Grubb (and other members of the SQ 150 staff) will continue with the series of active working sessions to upgrade new guys and old ES hands in need of a "re-up". Again, there will not be a "Death By Power Point" in sight. Pursuant to that, you all are directed to bring your CURRENT 101 card and ALL SQTRs to these meeting so you can accomplish your goals. Finally, it is imperative that you plan on attending these meetings. But do not attend the meeting on July 4th.. The details for the upcoming Group 7 SAREX, organized by Sq 57, at Gillespie Field are shown below. Requirements are emphasized in bold. 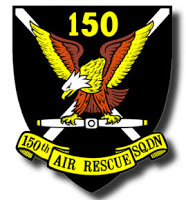 The next several Sq 150 meetings will concentrate on those with standard ratings assisting current and potential trainees to achieve formal trainee status and complete as many advanced tasks as feasible prior to this and other training opportunities as may arise. Note registration priority is given to Group 7 until 15 Jun. Due to the distance, carpooling is encouraged. Group Seven is conducting a SAREX hosted by Squadron 57 on the weekend of 26-28 July 2013. Friday (26th) is primarily UDF training. The SAREX focus is initial and recurrent qualification training of base staff, aircrews, ground teams and UDF teams. Mission base is Gillespie Field (KSEE). Initial participants will be selected from Group Seven until 15 Jun and then opened to all CAWG thereafter. All participants must have at least SQTR training status when applying. Participation cost is $20. CAP uniform and standards shall be adhered. Please reply to the Major David Wallace, Project Officer at david.wallace@squadron57.org.